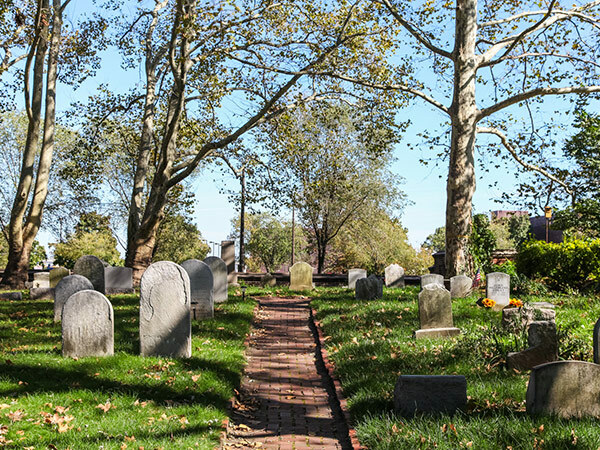 Located on the Delaware River in Philadelphia’s Queen Village , this church has the distinction of being the oldest in Pennsylvania. 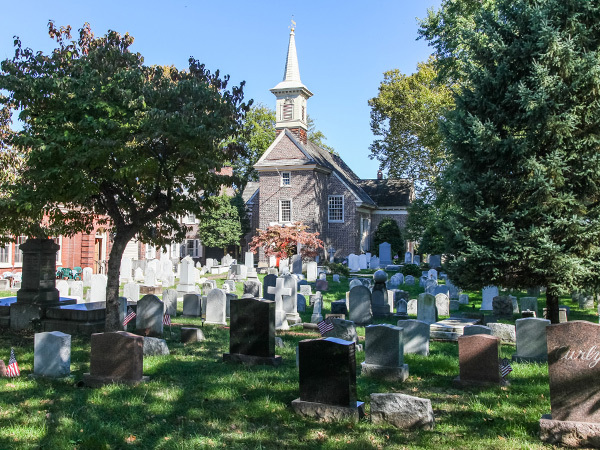 By the middle of the seventeenth century, the area had been settled by Swedish colonists who, in 1666, built a log structure for use as a church. 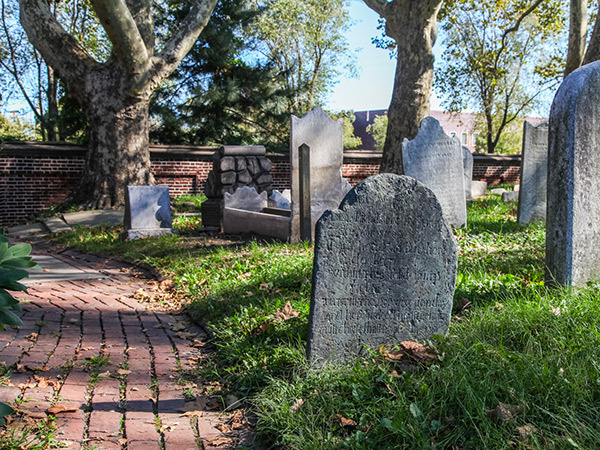 Construction of the present-day church began in 1698 and was completed two years later. 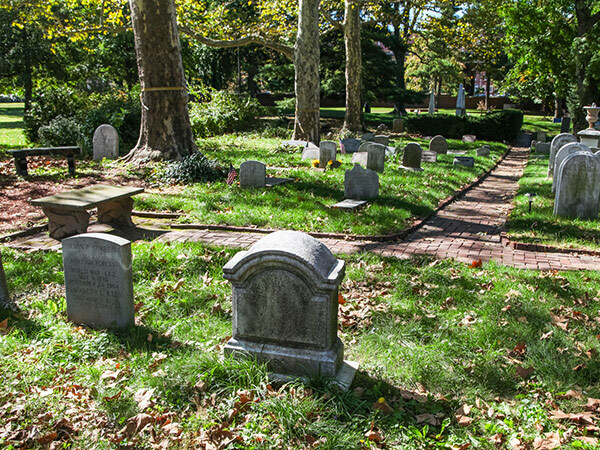 The surrounding grounds have been used for burials since the early eighteenth century. 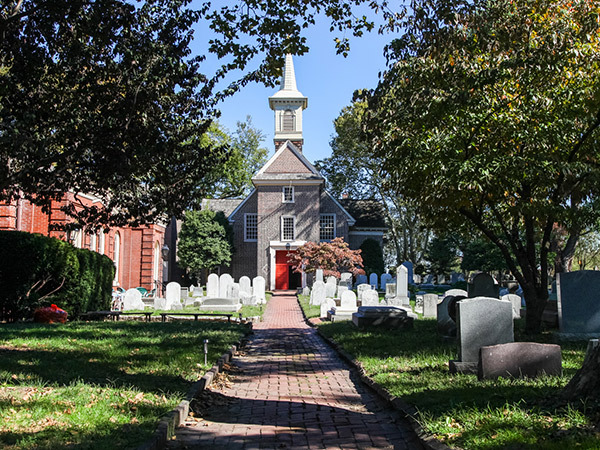 The church operated as a Lutheran congregation until 1845 when it became part of the American Episcopal Church, indicative of demographic changes to the neighborhood. By the turn of the century, the once-rural surroundings had urbanized extensively with the construction of tenement buildings, warehouses, and ship-building factories. 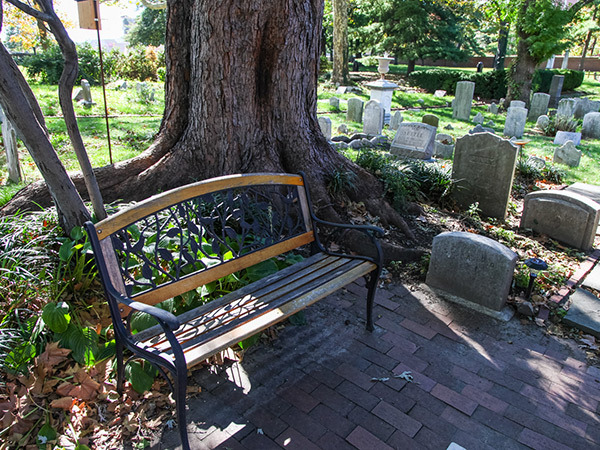 In 1942, the National Park Service worked with local authorities to designate the church and its encompassing block a National Historic Site. In the post-War years, the area’s population waned. Urban redevelopment associated with Edmund Bacon’s tenure as Executive Director of the Philadelphia City Planning Commission resulted in the removal of warehouses and tenements surrounding the church, as well as the construction of I-95 (in the late 1960s), which ran adjacent to the historic site, dividing it—and the waterfront—from greater Philadelphia. 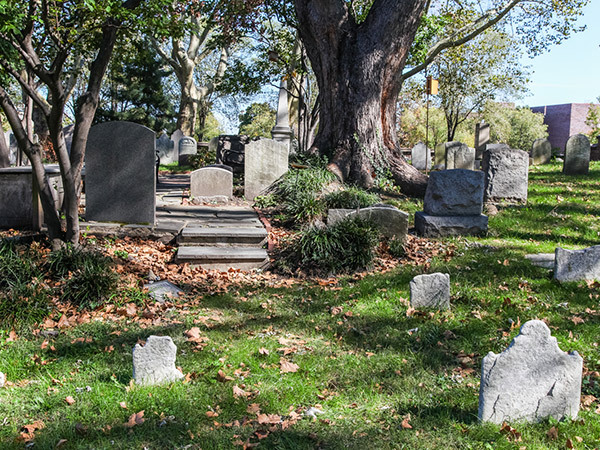 Today, the church and burial ground are enclosed by a brick perimeter wall and shaded by mature sycamore, maple, and spruce. 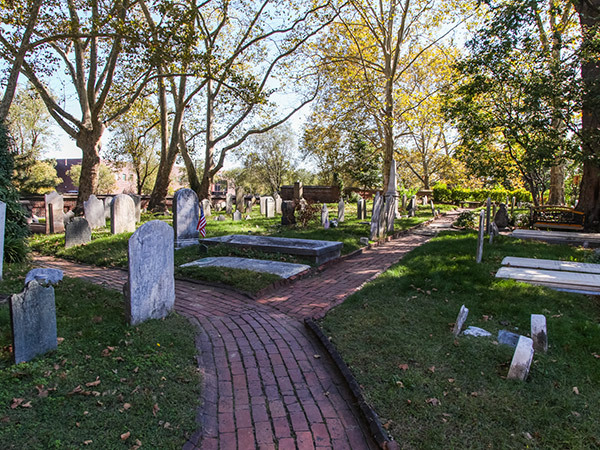 Axial brick paths provide access to various sections of the grounds, which include numerous tombstones and flowering trees. 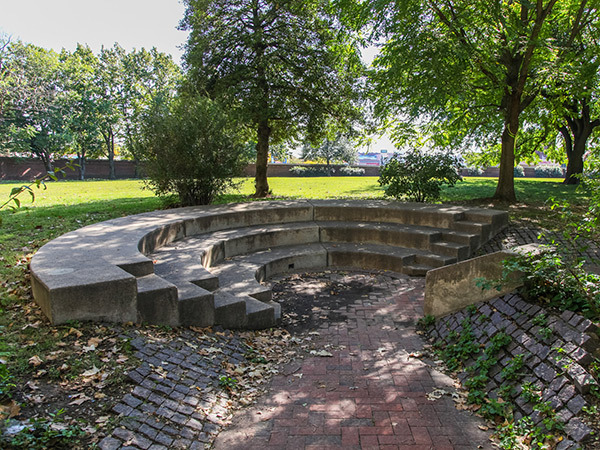 Benches and amphitheater seating provide places for rest and reflection. The property was listed in the National Register of Historic Places in 1966.